Bob Iger had a lot to say about ESPN, and about how the layoffs there have been covered. The other comments from Iger were more unusual, though, and there were plenty of interesting ones. He focused on how ESPN is adapting to a new media landscape and the success he sees them finding there, in everything from their mobile presence to their forthcoming over-the-top service to their presence in skinny bundles. In response to an analyst’s question, Iger also said he thinks too much is being made of their layoffs of around 100 people last month, which he sees as in line with other moves they’ve made and not as an indication of a dramatic shift. On one hand, Iger has a point. ESPN laid off hundreds of employees in 2013 and an estimated 350 further in 2015, and there was nowhere near this much hue and cry in either case (perhaps because many of those employees were behind-the-scenes, so their departures didn’t get as much social media attention as the recent exits of prominent ESPN reporters and personalities). Businesses expand and contract their staff all the time to adjust to changing demands, and this is in line with a lot of what we’ve seen from ESPN in the past. But on the other hand, these cuts do appear to run deeper in some ways, especially with their impact on ESPN’s on-air and online content. For example, axing a lot of baseball staff and simulcasting MLB Network programming to fill the void might previously have been unimaginable at ESPN, as might have been gutting their hockey coverage. There are certainly cost savings for ESPN with these moves; the question is if they’ll be able to retain their audience (and its corresponding subscriber fees and advertising revenues) even after the cuts. Iger later said a focus on improving margins at Disney’s parks was only considered if there was “no loss of quality of service”; we’ll see if that’s the case with these ESPN cuts as well. Throughout Tuesday’s call, Iger emphasized how ESPN has been transforming itself to the new media world, and how it’s planning to continue to do that. He said Disney’s been very candid about ESPN subscriber losses, and they’ve doing a lot to adapt. Iger said one key part of that plan is their focus on getting into streaming packages and other new distribution methods. 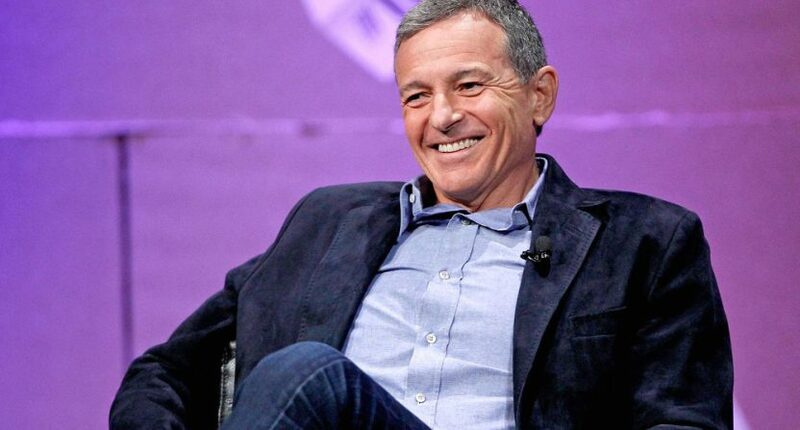 Iger said that plan comes from Disney and ESPN’s “eagerness and proven ability to embrace change and disruption,” and that the ESPN brand makes them a desirable addition for these new services. Some have floated the ideas of cheap no-sports streaming bundles, but Iger said he doesn’t expect those to catch on too widely considering the demand streaming providers are seeing for packages that include sports channels like ESPN. “I don’t think that would get much penetration,” he said. He said these streaming packages are great for ESPN, and ESPN content is highly demanded there. Getting into those streaming services is paying off for ESPN in a few different ways. First, as we wrote last month around Disney EVP Justin Connolly’s discussion of streaming services, ESPN gets equal or better fees from streaming packages as it does from traditional cable, something Iger confirmed on this call. Beyond that, those streaming services are being tracked more thanks to Nielsen factoring in more “total audience” (streaming and out-of-home viewing). The stats are still lagging a bit, as we discussed in May’s cable coverage estimates, but this kind of viewing is starting to help ESPN’s ratings and advertising revenues as well, especially for live games. “Live sports continue to draw huge audiences to TV,” Iger said. He said ESPN ratings hit record levels in the quarter (aided by college football playoff games), and added “the inclusion of out-of-home viewing and WatchESPN lifted that by a further 10 per cent.” That has Iger in a good mood heading into next week’s upfronts with advertisers, especially as it’s now easier to sell packages for TV/streaming/digital thanks to the new metrics that factor non-traditional services in more. However, Iger said presence in the streaming services is about the long term for Disney and ESPN. Those services are growing, but they’re not making up for the declining numbers of traditional cable subscribers. Another area where ESPN is seeing some improvement is mobile, which is becoming a bigger focus for them. Iger was asked about declining ratings for SportsCenter and traditional highlights, and said part of the solution there is on mobile, where they’ve recently consolidated apps, emphasized video, and are now further pushing personalized video (such as highlights of teams a user selects). Iger sees media consumption shifting even more to phones, and wants ESPN to be there when it does. Iger focused on the strength of ESPN’s mobile offerings relative to competitors, which may help them get more ad revenue there in the years to come, especially as they’re now offering more ad packages that cross platforms (from TV to digital to mobile). He said they reached 23 million unique users who spent 5.2 billion minutes engaging with ESPN during the quarter. As for SportsCenter and programming, Iger said “They’re looking at some program changes overall” and finding ways to boost audiences for studio shows. He wouldn’t offer any specifics, but said ESPN will not stand pat. On the live sports front, much has been made of ESPN’s rising costs there. Iger said those costs are because the rights are so in demand, and ESPN is not going to stop going after sports rights given their value to audiences and advertisers. Disney CFO Christine McCarthy was on the call as well, and had some interesting comments to make about the much-criticized NBA rights deal. Yes, ESPN is paying a huge amount more for NBA rights under their new contract (an estimated $690 to $740 million annually), and that increase in programming costs has hurt. However, McCarthy said the NBA has been one of their best-performing properties, and she anticipates that will continue throughout the rest of the playoffs. She said this quarter also saw advertising success for ESPN even with some viewership declines. However, those ad numbers are heavily influenced by that bowl game timing. Without those games, ad revenue would have been down one per cent. Iger also spoke about what he still wants to accomplish at Disney (his contract was recently extended through mid-2019), and said solidifying ESPN’s future was a key goal for him. One other key topic he discussed was the forthcoming over-the-top ESPN offerings, which he said will launch by the end of the year. He again emphasized that these won’t be just ESPN’s main channel (which they’re not currently looking to sell direct-to-consumer), but that might follow some day. For now, though, the focus will be on rights they already have that they can air outside of ESPN. He said Disney’s acquisition of Baseball Advanced Media (which will power the streaming service) made this possible, and made it worthwhile given their ability to stream games in high quality at a large scale. “The streaming capabilities of BAM are extraordinary,” Iger said. Beyond that, BAM’s tech also excels at ad insertion, which should let ESPN benefit both from OTT subscription fees and ad sales on the feeds. Iger addressed the perception that ESPN will be offering a one-size-fits-all OTT service, saying that’s currently not the main plan. As per the conventional TV product, there’s been a lot of talk lately about how Disney is putting less emphasis on ESPNews and ESPN Classic. Iger was asked about that, and said while some new channels like SEC Network have done very well for them, there are challenges for channels without a lot of live sports. However, he didn’t give any guidance on if ESPN will be looking to alter or contract some of those.